Halle Berry has broken so many barriers for women of colour and continues to shine on the front of Vogue‘s September issue. Considering the last black woman on the cover of the September issue of Vogue was Naomi Campbell in 1989 I think we can understand what a major deal this is. 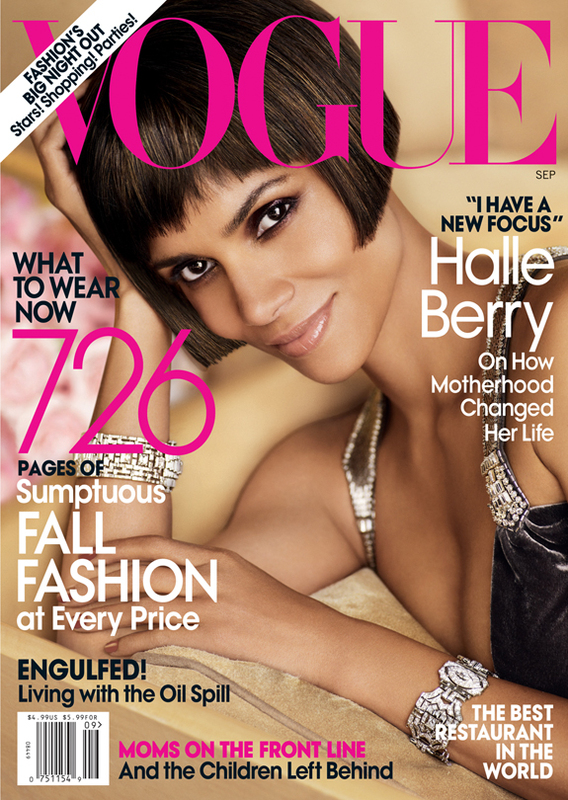 Although I’m not one for controversy I must say I’m a little miffed that it’s taken Vogue over 20 years to put a beautiful woman of colour onto the September cover but I suppose we can see this glass as half full and call this progress… Regardless, Halle puts all other Vogue Cover g irls to shame with her dynamic bob, her smooth complexion and effortless beauty.